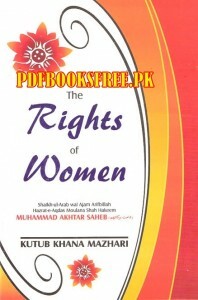 The Rights of Women book authored by Maulana Shah Hakeem Muhammad Akhtar Sahib. This is an Islamic book contains rights of women in Islam in English language. Visit the following links to read online and free download the complete book in pdf format for offline reading.